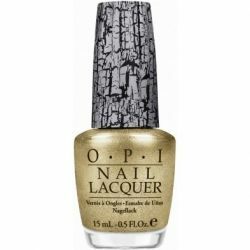 You will find that Black Shatter is featured in both the Katy Perry and Serena Glam Slam Australia OPI nail polish collections. 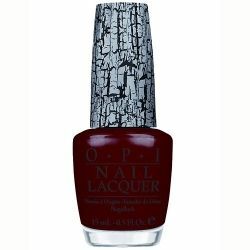 Silver Shatter is included in the OPI Pirates of the Caribbean collection. New shades in the Glam Slam collection will be introduced to coincide with each of the 4 major tournaments, beginning with the Australian Open (Black Shatter), the French Open (White Shatter and Red Shatter), the Wimbledon Open and the US Open (Blue, Navy, and Turquoise Shatters). For Breast Cancer Awareness month in October, discover Pink Shatter: Pink of Hearts OPI nail polish. Gold Shatter is the newest in the Shatter collection to come out with The Muppets OPI holiday collection. 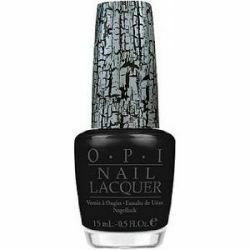 The OPI Black Shatter nail polish is a rockin' new color that creates a "shattered' effect when applied over dry nail lacquer. Black Shatter can be found in the Katy Perry nail polish line, and can be used on top of any of the 4 shimmering shades of silver, blue, pink, and plum. You can also find Black Shatter featured in the Serena Glam Slam Australia collection which just includes Simply Smashing, a radiant shimmering green nail polish. 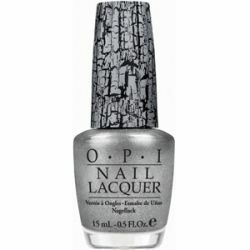 Silver Shatter, by OPI, is a stunning new shade that creates a "shattered" effect when applied over dry nail lacquer. 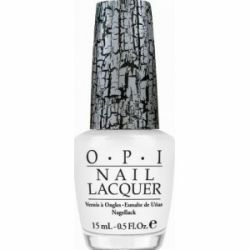 Featured in the OPI Disney Pirates of the Caribbean: On Stranger Tides nail polish collection, you will find Silver Shatter. Combine Silver Shatter with any of the trendsetting 6 Pirates of the Caribbean shades, including pink, lavender, and sage. Continuing with the Serena Glam Slam nail polish collection you will find Red Shatter. Launching with the French Open, Red Shatter is featured with Rally Pretty Pink nail polish, a deep metallic pink with gold and yellow undertones. This is the first duo-pack in the Serena Glam Slam French Open collection. Continuing with the Serena Glam Slam nail polish collection you will find White Shatter. Launching with the French Open, White Shatter is featured with Spark De Triomphe nail polish, a mix of silver and gold glitter. This is the second duo-pack in the Serena Glam Slam French Open collection. 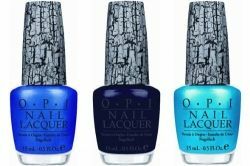 The beautiful OPI Blue Shatters are out now. Featured for the Wimbledon Open and the US Open are Blue Shatter, Navy Shatter, and Turquoise Shatter. Pick your fave blue nail polish or get all 3! OPI's limited edition Pink Shatter: Pink of Hearts nail polish is for Breast Cancer Awareness. This is the 5th year in a row the Pink of Hearts has supported Susan G. Komen for the Cure in its promise to save lives and end breast cancer forever. Gold Shatter nail polish is the newest Shatter shade. To be featured with OPI Disney's The Muppets nail polish collection for the holidays. The trick to using any of the OPI Shatter shades is to apply it correctly. Step 1: Start with clean nails and, if you wish, apply a base coat. Step 2: Apply 2 coats of OPI nail polish and allow it to completely dry. Step 3: Apply 1 thin coat of Shatter for a stylish two texture finish. 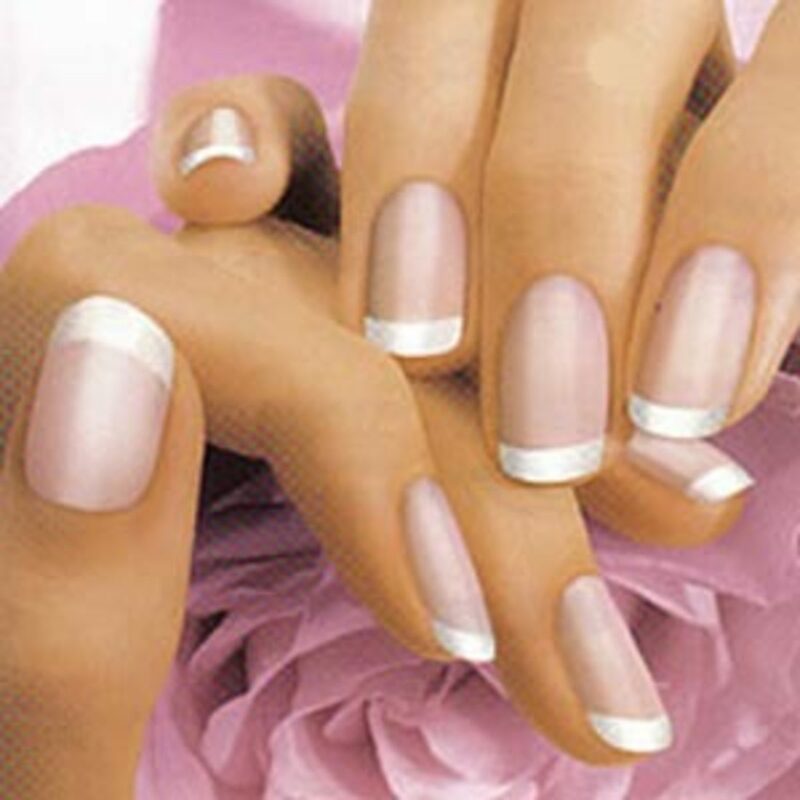 Step 4: You can leave your nails matte, or apply a top coat for a high gloss finish. Which OPI Shatter Is Your Fave? - Take the Poll! Which OPI Shatter Is Your Fave? Other Shatter - Which one? The Shatter shades are sure to be limited edition, so get yours now while they are still available. I love this nail varnish its so cool! Feeling like in a beauty store where the hostess recommends nail polish products as well as teaches me how to apply it. It's a delightful page! You sure have this nail polish covered. Nice lens.